FEMA Region VIII is hosting a Homeland Security Exercise and Evaluation Program (HSEEP) Course this summer, August 17-19, 2010. The HSEEP Training Course incorporates exercise guidance and best practices from the HSEEP volumes. Throughout the course, participants will learn about exercise-related topics including program management design and development, conduct, evaluation, and improvement planning. The primary audience for this course is Federal, State, local, trust territories, and tribal nations emergency management/response personnel who have the responsibility for exercise planning and evaluation. Nongovernmental and private-sector partners who have a direct mission in homeland security exercises may attend on a case-by-case basis. Participants need a basic knowledge of exercise design and HSEPP terminology. Therefore, participants are required to complete an Independent Study (IS)-120.A, An Introduction to Exercises, before attending the HSEEP Training Course. The IS course takes approximately 3 to 5 hours to complete and you can take it online at http://training.fema.gov/EMIWeb/IS/IS120A.asp and select "Interactive Web-based Course." It is also recommended that participants take IS-130 Exercise Eval and Improvement Planning, IS-139 Exercise Design, IS-700 NIMS, An Introduction, and IS-800.B National Response Framework, An Introduction. The class will be held in the Denver Metro area from August 17-19, 2010. The registration site is up and ready and, for the Denver class. The username for Denver registration is denverhseep and the pass is region8aug - the registration deadline is August 5, 2010. 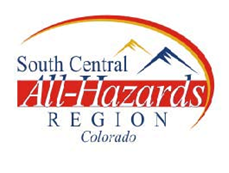 For any questions, contact Phillip Serrin, FEMA Region VIII, Training and Exercises, at (303) 235-4682 or at phillip.serrin@dhs.gov. What would YOU do if a disaster hit close to home or work?? What: This disaster preparedness and response training (FEMA course IS317 – Community Emergency Response Team/Training) will include how to plan for a disaster and teach basic response skills such as fire safety, light search and rescue, team organization, and disaster medical operations. At the completion of this training, participants are encouraged to support emergency response agencies by taking a more active role in emergency preparedness projects in our community. Why: When a disaster hits, we can’t always depend on professional responders to be immediately available. We would like to have our citizens of Denver trained to help within their own communities. Ok.... now... How much: The training will be provided at NO COST to participants. Bottom-line for Colorado? The Rocky Mountain Area Coordination Center indicates that while some areas of NW Colorado may -- and emphasis on 'may' - develop above average fire potential due to below average snowpack, severe drought conditions, forecasted above and average temperatures and below average precipitation July through August, the remainder of Colorado is predicted to have an "average" fire potential. According to the report, "average fire potential means that these areas will likely experience short durations of fuel and fire weather conditions that support periods of large fire activity, but not extended periods of fuel and fire weather conditions that result in multiple large fires for several weeks." The 2010 Rocky Mountain Area Fire Season Outlook, produced by the Predictive Services Group of the Rocky Mountain Area Coordination Center, covers Colorado, Kansas, Nebraska, South Dakota and Wyoming. It is intended to address the risk for significant fire events that could require mobilization of additional resources outside the area of origination, such as through expanded mutual aid agreements within a state or through additional, out-of-state requests for assistance. "Drought conditions have significantly improved across the plains of eastern Colorado"
"Snowpack across the Rocky Mountain Area ranges from near average to below average across southern Colorado"
"Climate forecasts from the Climate Prediction Center and others support above average temperatures west of the divide this summer, especially July through August. Wetter than average conditions are forecast east of the divide, with no tilt either way west. However, other forecasts support drier than average summer conditions from northwest Colorado through western Wyoming." "Carry over grasses fromprevious growing seasons are abundant across the Rocky Mountain area. Many forests across the Rocky Mountain area have been devastated by the mountain pine beetle. Dry and hot periods make these areas more susceptible to large fire potential." Of course, the three main causes of fires continue to be men, women and children... so, what can you do to help mitigate the chances of a wildland fire? To get more information on how to prepare you and your family for a wildland fire or any other disaster, check out READYColorado and for more information on how to prepare your property for fire season, check, be FIREWISE!! In addition, the public can call the fire information line for updates at 970-240-1070. For the latest information on the fire, reference the San Miguel County website, where releases are being posted. Lake County is seeking an Emergency Manager. Job responsibilities include overseeing, maintaining and developing emergency management programs and activities in Lake County. This role entails coordinating all aspects of the county’s mitigation, preparedness, response and recovery efforts regarding emergency management. Coordination of emergency planning among local, state and federal agencies and the private sector is required. This position assists in fulfilling the county’s statutory requirements under C.R.S. 24-32-2107. Position reports to the Board of County Commissioners. Salary is $16,500 per year for this part-time position. 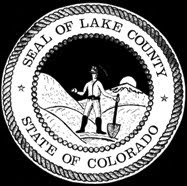 Preferred candidates for this position will have familiarization with applicable federal and state rules, regulations and standards relating to the development of an operational emergency disaster capability; Colorado Division of Emergency Management standards and requirements; grant application and administration; local knowledge of Lake County geography and emergency providers, computer and communication skills, and ICS training and NIMS. Candidates must be willing to be on-call and have a valid Colorado driver’s license, high school diploma or equivalent and experience in an emergency services background. Applications may be obtained from the Colorado Workforce Office which is located at 115 W 6th St., Leadville, CO 80461. Hours are 9:00 a.m. to 5:00 p.m. Application may be turned in to the Lake County Clerk’s Office at the County Courthouse by 5:00 p.m. on May 28, 2010. LAKE COUNTY IS AN EQUAL OPPORTUNITY EMPLOYER. The Mitigation and Recovery Team hosted two planning meetings which moved the team closer to two objectives: the development of a practical and thorough recovery plan and updating the State Hazard Mitigation Plan for submission to FEMA; Both meetings took place during the morning of May 13 in the Tommy Grier Conference Room. The Recovery Meeting, entitled Goal Leader, took a critical look at the previous recovery exercise which envisioned a tornado event in a metro area. Many snags and potential problems were discovered during the review of the exercise but, as it is the point of these exercises to discover potential problems before they are faced in a real situation the table top exercise can be considered a success. The table top exercise brought in partners who will be tasked with recovery in future disasters together and challenged them to come up with solutions to recovery problems. The next Goal Leader meeting has been tentatively scheduled for July 22. The Mitigation team then hosted their third meeting for the 2011 State Hazard Mitigation Plan update. This meeting focused on Consequence Analysis, a new element that has been added to the Mitigation Plan as CDEM complies with the standards of the Emergency Management Accreditation Program (EMAP), and Risk Assessment. Consequence Analysis is an attempt to discern the impacts a potential hazard would have on the state’s emergency response and examines such things as continuity of operations, delivery of services, environment and public confidence. Those present were then given updates on the state wide risk assessment for drought and wildfire hazards by Jeff Brislawn of AMEC and Claire Brown of the Colorado State Forest Service, respectively. Last, a group activity was organized in which participants were asked to provide their expertise and “outside the box” thinking with regard to Consequence Analysis in relation to summer weather (tornado, hail, lightning, precipitation), winter weather, flood, fire and earthquake. For questions regarding this post or for more information on DEM's mitigation office, contact DEM's Scott Baldwin. As many of you have seen in the news, Nashville, along with many other communities in Tennessee, was inundated with major flooding following a weekend storm that dropped nearly 14 inches of rain in a 2-day span this past week. Here at the Division, when disasters occur in areas outside Colorado and we are not directly involved in an assistance request, we take time to learn from our colleagues and consider how we might respond to a similar disaster. Due to Colorado's Flood History, the events in Tennessee are certainly one our mitigation and long-term recovery staff are following. If you are interested also following the State of Tennessee's response to the flooding, you can monitor the State of Tennessee Emergency Management Agency online on their main site, on the TNEMA's Twitter Feed or check out their TNEMA's Flickr Photo Site where you can find the latest info on the flood response. "The Army Corps of Engineers has classified the event as a 1,000-year flood (http://www.lrn.usace.army.mil/pao/News/10-27%20dams%20worked%20as%20designed.htm). The flooding forced thousands of people out of their homes and there are a number of reported fatalities. Media reports indicate that residents are currently under mandatory water use restrictions due to the flooding of one of the city’s two water treatment plants. Power was reported out in portions of the city and thousands of homes are damaged or destroyed. Many businesses, restaurants and music clubs in Downtown Nashville are damaged. LP Field where the Tennessee Titans play, along with the Bridgestone Arena, where the NHL’s Nashville Predators were playing up until last week both reportedly took on significant levels of water. Famed cultural institutions such as the Opryland Hotel, the Grand Ole Opry, the Country Music Hall of Fame and the symphony hall are all damaged. Many of the challenges faced by emergency service workers in Tennessee could easily be the “worst-case” scenarios that emergency management organizations use in their exercises. More than 1,000 water rescues were reported conducted in the Nashville area alone. With thousands of displaced residents needing shelter and even a reported 1500 guests at the Opryland Hotel, movement of people and establishment of perimeters clear of the dangerous floodwaters were necessary. I understand that even the Tennessee Emergency Management Agency, who were helping support resource allocations and requests to support emergencies across numerous jurisdictions, were forced to relocate to an alternate Emergency Operations Center after theirs was flooded. The event also brought out stories of neighbors helping neighbors and strangers helping strangers. For those private citizens who see this event and want to prepare for even the smallest of events, FEMA’s Citizen Corps and Community Emergency Response Team trainings are excellent resources. The recovery process is only starting, as local, state and federal officials along with non-profits and the people of Tennessee will work together to repair homes, get businesses back up and running, ensure that critical infrastructure is functioning properly, and ultimately getting music back into Nashville’s clubs and concert halls. We wish them the best in the difficult days ahead." What struck me about Iain's thoughts on the TN flood response was the nexus of Nashville's community, tourist and response complexities and its clear similarity to challenges we face in Colorado. To continue with Iain's comments, for focused information regarding Colorado Citizen Emergency Response Teams, contact Cathy Prudhomme in the Governor's Office of Homeland Security. She can help you organize, recruit and inform at the local level on Citizen's Response Team programs. Too, be sure to check out READYColorado for a wealth of information on citizen preparedness, checklists, family communication plans and more. Too, read more about Colorado's Flood History and associated hazards on our DEM Flood Information Page. As we have seen through recent tornadoes, earthquakes and flash flooding, disasters may occur with little or no warning and may escalate more rapidly than the ability of any single local response organization or jurisdiction to handle. Large-scale emergencies and disasters may exceed the capabilities of state and local government to effectively respond and recover. To more effectively respond to disasters it is sometimes necessary to mobilize resources from other jurisdictions. When state resources and capabilities are exhausted, additional resources will be acquired through interstate mutual aid agreements and federal assistance. Mutual aid agreements and memoranda of understanding are essential components of emergency management planning, response and recovery operations. These agreements provide reciprocal emergency aid and assistance during an emergency or disaster. They can increase available resources and improve response and recovery efforts. One of these agreements, the Emergency Management Assistance Compact or "EMAC" is a national Governors’ interstate mutual aid compact that facilitates the sharing of resources, personnel and equipment across state lines during times of disaster and emergency. EMAC was ratified by the U.S. Congress and signed into law (PL 104-321) in 1996 and in Colorado Statute (CRS 24-60-2901). Currently fifty states, Puerto Rico and the US Virgin Islands have enacted EMAC legislation.